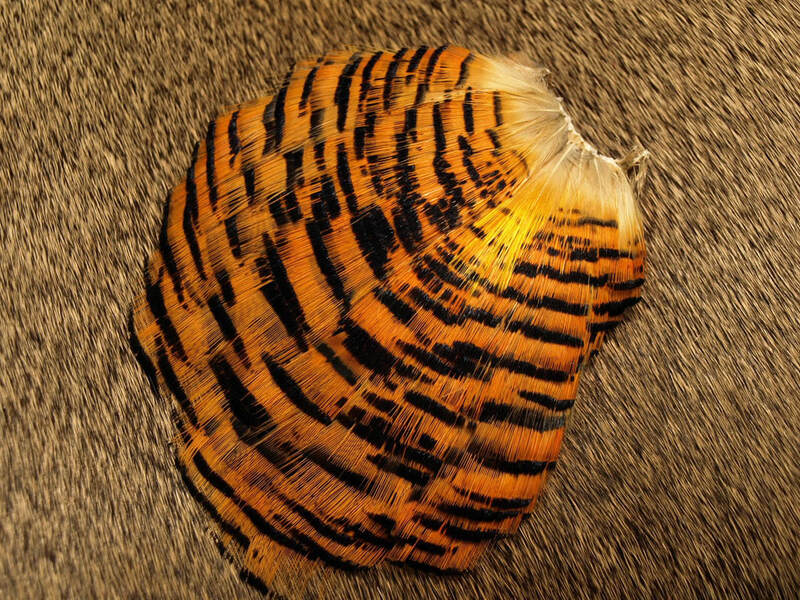 This is the full tail clump from the golden pheasant. For when you don't need a full tail. These sections are 5-6 inches in length. These are full center tails off the main tail. Selected for perfection. These are the side tails off of the clump. Generally 14-16 inches in length. The full head with the crest and tippet. The 12 assortment pack is a selection of prime feathers for any tier. Mixed from big to small for any style of tying. The full skins come two ways, with and without heads.